Maharashtra Public Holiday on 15th October 2014. Maharashtra Govt Holiday on 15.10.2014 for Assembly Elections. 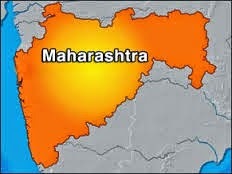 Maharashtra Vidhan Sabha Elections Public Holiday on Polling Day. Maharashtra Govt has declared Public Holiday on the 15th of October 2014. Vidhan Sabha Elections will be conducted on 15.10.2014 in Maharashtra for 288 assembly constituencies in the state. Holiday may be applicable to all government offices, private organizations, Banks, educational institutions and other offices. On the eve of elections to the state legislative assembly of Maharashtra, the govt of Maharashtra has declared a Public Holiday on the 15th of October 2014 under the negotiable instrument act. The following is the official notification by the state government of Maharashtra about the holiday. 2014 for the General Assembly Elections. The Departments of Mantralaya are requested to bring these instructions to the notice of the Corporations/Undertakings and Semi-Government bodies under their administrative control and advise them to extend the facility to the employees.